Aging is a natural part of life, but for some individuals, getting older can take a toll on their health. In these cases, assisted livingcommunities like Aegis offer a new, better equipped second home. Kristen Moored, Aegis at Marymoor’s director of operations and the director of care, knows how important her employees’ comfort and well-being are to the success of Aegis as a whole. With a background in customer service, Moored believes that providing great leadership and a welcoming work environment makes the employees want to offer exceptional service as well. When she first began working in this field, Moored had a misconception of what assisted living meant. Since working at Aegis at Marymoor, she has seen the company overcome many industry stigmas: Aegis communities are far from being residential areas that are sterile, cold and unwelcoming. She said that Aegis Living is a place where families want to spend time with their parents. When eating a meal many would rather enjoy a meal at the community rather than dining out at a restaurant. Moored noted one resident success story that continues to demonstrate Aegis’ commitment to providing individuals with a caring home environment. The individual came from a skilled nursing facility, was wheelchair bound and eating on a mechanical diet. The family didn’t think that she would live much longer. After coming to Aegis at Marymoor, she now walks with the help of a walker, eats normal meals and is one of the most active residents in her community. Moored said that this resident is currently the healthiest she’s been in a long time, something she chalks up to the resident’s renewed will to live. With such a phenomenal home life, it can be much easier to look forward to the days ahead. While this particular resident was physically limited, Aegis works with seniors of all levels, whether they can live semi-independently and require some assistance or they have dementia or Alzheimer’s disease and need more extensive care. 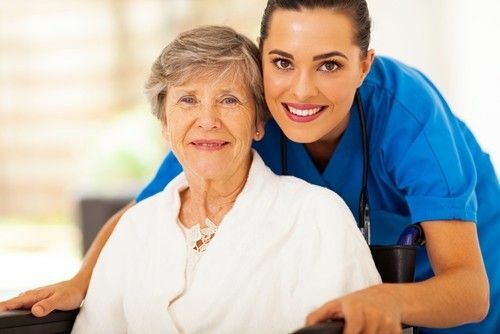 Aegis specializes in memory care and is a leader in the field, but even with such a variety of patient needs, the staff works to keep care consistent and track patients as they progress through constant communication between the nurses, care staff and management team. It can be a difficult time for families when they realize a loved one needs to move to an assisted living community. It’s not an easy decision to make, but Moored believes that Aegis makes this transition easier because the staff loves their residents like family. “We’re not treating people differently because they’re older. We’re not treating people differently because they can’t fully take care of themselves or if they have memory issues … These people deserve fantastic food and fantastic activities, and they deserve to have their lives they’ve been living honored and celebrated,” Moored said.